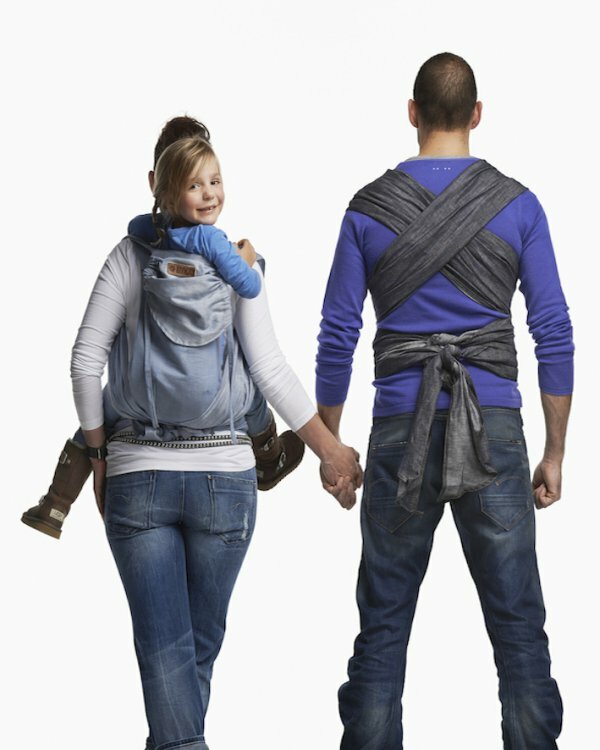 ByKay Mei-Tai Denim Deluxe: A comfortable and supportive baby carrier that allows you to carry your little one on your front, hip or back. OSFA – One size fits all. 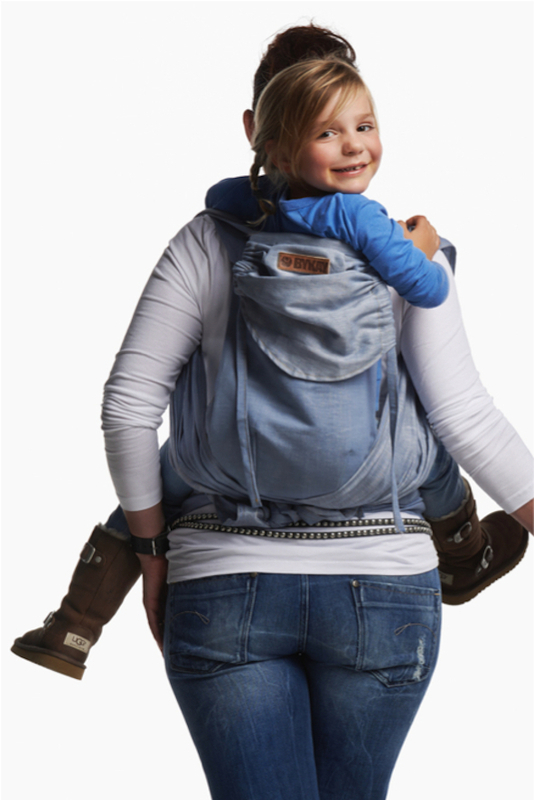 Developed by ByKay in collaboration with MamaMerel, the innovative adjustment system allows the carrier to grow with your child to fit any size of baby (including premature & low birthweight babies) or toddler from newborn to 4 or 5 years old – NO additional insert required! 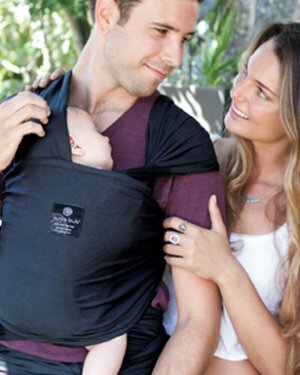 In the Mei-Tai Deluxe your baby is securely supported in the best position for healthy hip development; PLUS an integral sleep hood provides optional extra head support and can create a cosy environment to help your baby sleep. 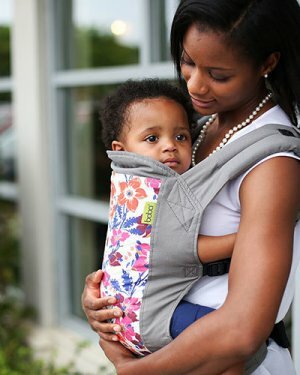 The waistband has a button adjuster so you can simply move it from a newborn carry to a 4mth carry. So easy! It has wide shoulder straps to evenly spread the weight around your body and provide a custom fit for each user. 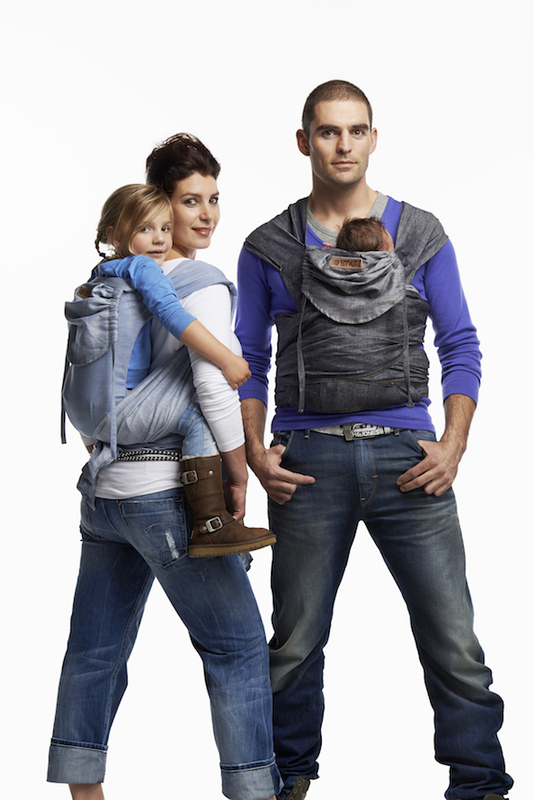 It has a padded waist and includes an optional shoulder pad set for enhanced comfort when carrying heavier children. It is made using a cotton/linen blend fabric. Perfect for the Austrailan climate! Stylish and fashionably reversible to suit your every mood. Care instructions:- cold or warm machine wash with like colours. Dark/bright colours may need to be washed separately. Line dry. DO NOT tumble dry or iron prints, labels or badges.